Wow! 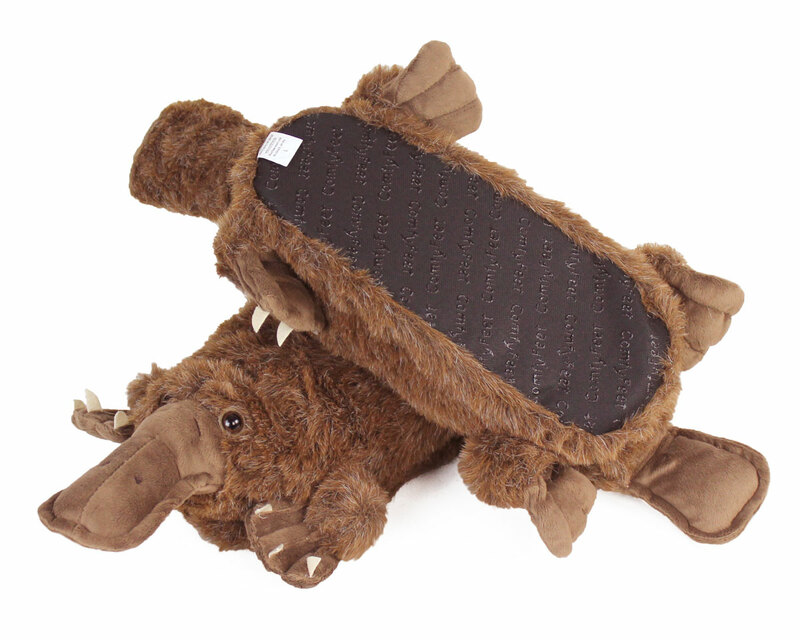 Are platypuses weird or what? They're mammals, but they lay eggs and are (eek!) venomous. Yet this animal, essentially an amalgamation of seemingly dissimilar parts, is charming despite - or perhaps because of - its wackiness. 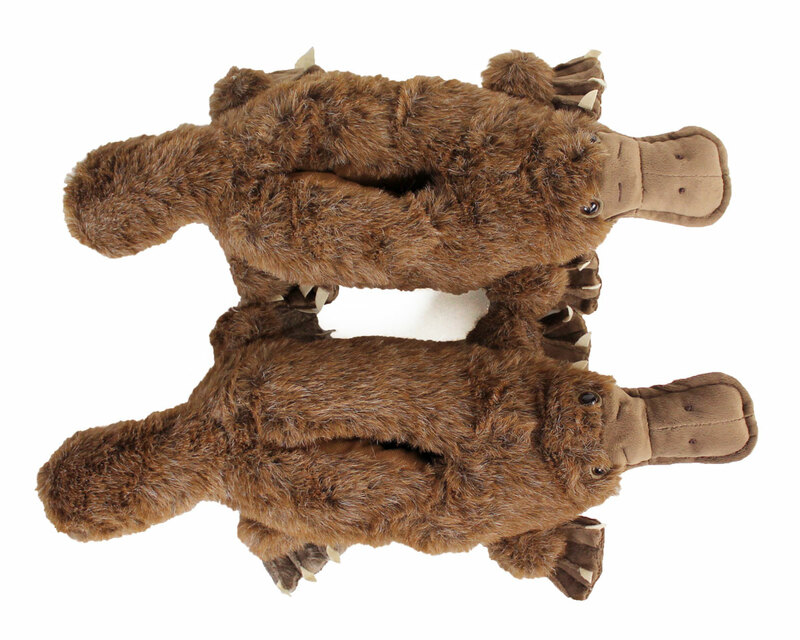 Celebrate your own quirkiness by slipping on these platypus animal slippers. Each slipper is embellished with a tail, four clawed webbed feet, a smiling bill, and two beady eyes. The fuzzy fabric is soft to the touch and the sole is made out of thick foam, meaning your feet won't suffer while they're making a unique style statement. 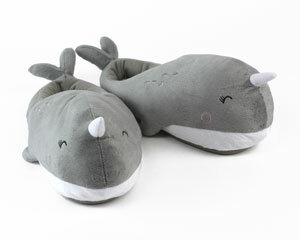 Ok, these slippers are outrageously funny. Well made, my daughter loves them. 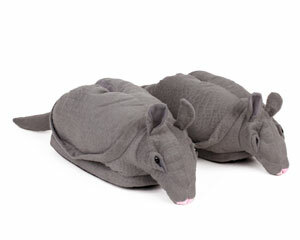 Advantages: they are warm, the memory foam foot bed is comfortable, and they are a great conversation piece. Disadvantages: the dogs think they are toys to tear up. Keep them in a closet when not being worn. I ABSOLUTELY LOVE THESE! 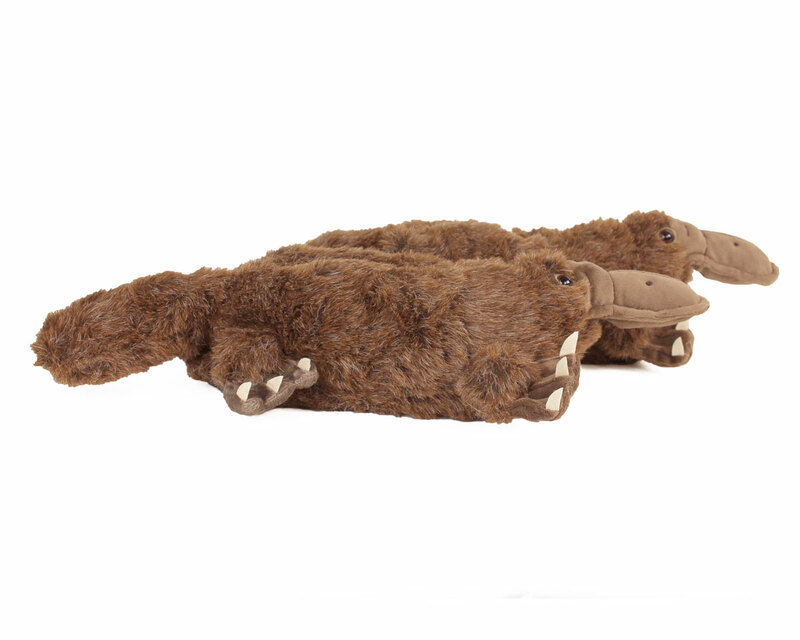 I got these for Easter and platypuses are my favorite animal. I have always wanted these, and I am so glad I got them! 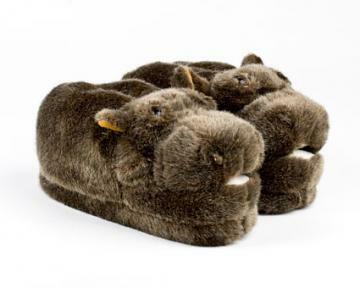 They are comfy and look exactly like a platypus! 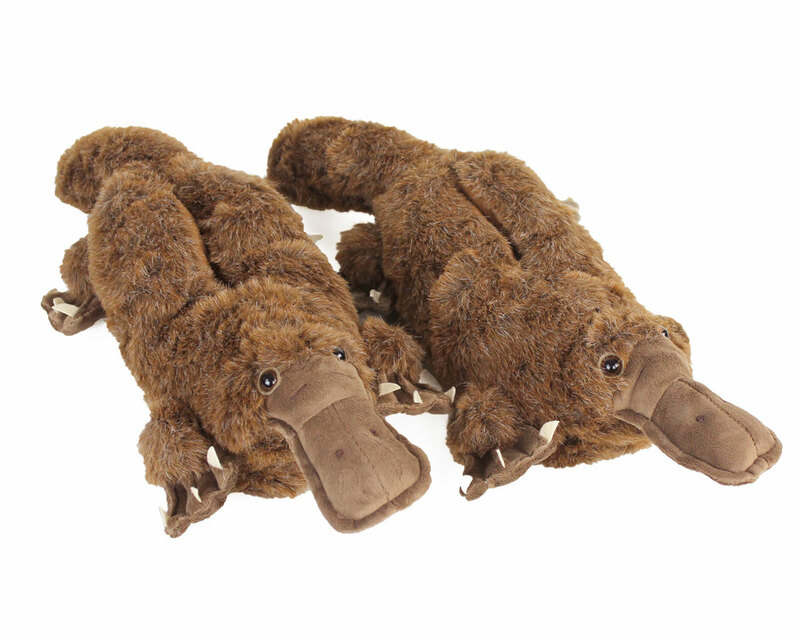 Advantages: They look like a platypus, are very comfy, great conversation piece, they are REALLY SOFT, and are just flat out GREAT! Disadvantages: there is a string in the slipper pressing against my toes, but it still fells super comfy. I love my slippers. They are super awesome. I like the way the feet are just above the floor so they bounce a bit when you walk. My son also thinks they are amazing. Advantages: Warm. And we'll it's a freaking platypus. Disadvantages: I wish the bottoms had a sturdier sole. 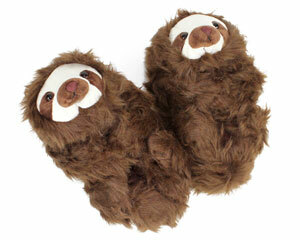 These have a typical slipper bottoms and they wear out faster than the rest of the slipper.